Knitted heart, bird, tear drop and pear. 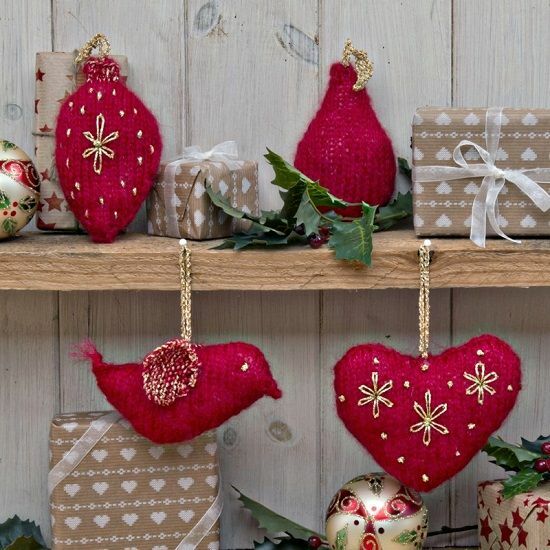 Knitting Kit for Knitted Christmas Decorations: Heart, Bird, Teardrop and Pear. Contents include: Knitting Yarn, Knitting Needles, Metallic Thread, Sewing Needle and working instructions. Comes in a paper bag with carry handles, great little gift. 25mm flat squeaker for teddy bear or cuddly toy animals. 5 X 15mm round magnets for teddy or fridge magnets.